The foundations of The So So Glos can be traced back to 1991, when four-year-old Alex Levine, his brother Ryan Levine and stepbrother Zach Staggers began playing music together. “I think we were really just delusional kids,” remembered Alex. “At five years old, we were watching MTV and thought we had a band too. We would record tapes of us playing and as far as we were concerned, we were making records. Since then, the band has added guitarist Matt Elkin and released two albums and two EPs. Their latest album, 2013’s Blowout, was named among the 50 best albums of the year by both Rolling Stone and Consequence of Sound. It also saw The So So Glos touring with bands like Titus Andronicus and Nashville’s Diarrhea Planet. 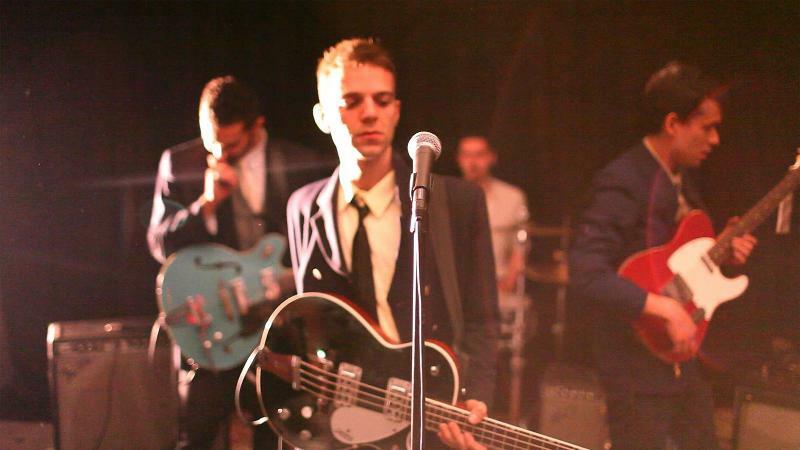 The So So Glos, who are based in Brooklyn, have also become active in the DIY and all-ages scenes there, working to open both an all-ages recording studio and performance space, Shea Stadium, and an all-ages venue, The Market Hotel. On Monday, March 17th, The So So Glos, fresh from SXSW, will bring their self-described early-90s punk rock to The End, where they’ll be playing alongside Gunther Doug and Dogtooth. 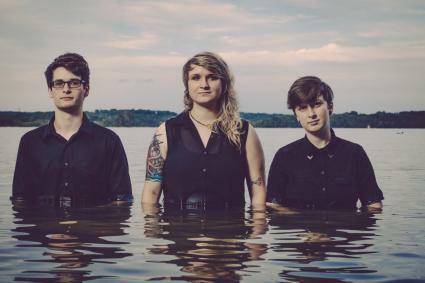 Though many of the songs on Josephine & The Wild Front’s 2013 EP, Swallowed by the Ocean, were written years ago, when singer Josephine Moore was performing solo, it wasn’t until fairly recently that Moore’s current band coalesced. After writing many of the songs on the EP and performing them as a solo artist, Moore joined a band called Holy Coast, as a singer and rhythm guitarist; the bands other members included drummer Preston Vaughn and keyboardist Krista Glover. When Holy Coast was dissolved, Moore, Vaughn and Glover decided to forge on with their own project, which became Josephine and the Wildfront. They would soon be joined by bass player Devan Köchersperger. Over the past few months, Moore and the band have had several high points, including having a release party for their EP at Little Shop of Records in Murfreesboro, playing a show in Knoxville and being The Deli’s Artist of the Month in August. Recently though, Josephine & the Wildfront have experienced one big setback—the ruin of the band’s main synthesizer after it was fried when they plugged it in while setting up for a show. They’ve reached out to fans, asking for support through show attendance and merchandise purchases to help fund the replacement of the Minimoog Voyager that was such a pivotal part of the band’s dream pop sound. You can hear Josephine & the Wildfront on Wednesday, December 12th at Nashville’s Communion Christmas Special at the High Watt. Also playing are Joseph Arthur (featuring Mike Mills of R.E.M. and Bill Dobrow), Milktooth, Rosco Bandana and Cereus Bright. 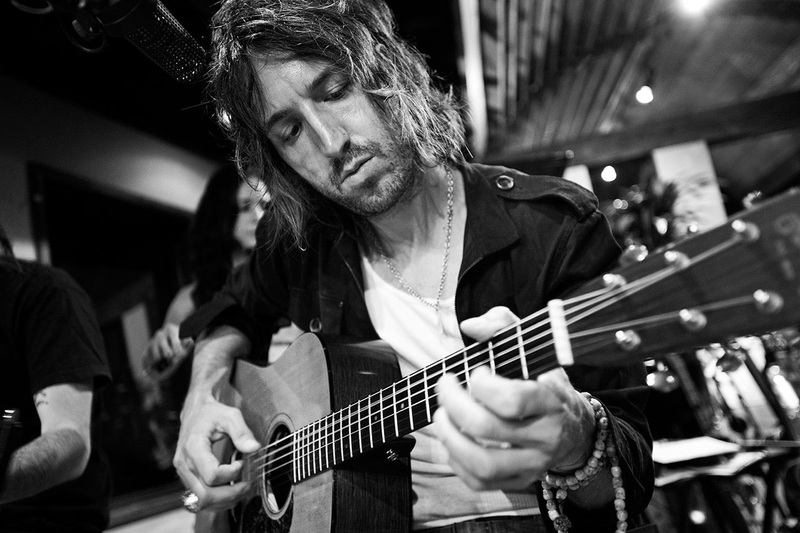 Joseph Arthur’s latest album, The Ballad of Boogie Christ Act 2, saw him collaborating with a long list of recognizable names, including the Band’s pianist Garth Hudson, former Ryan Adams & the Cardinals bass player Catherine Popper, and Golden Smog member and former Jayhawks guitarist Kraig Jarret Johnson. For his upcoming date playing at The High Watt for the Communion Nashville show, he’ll be pulling out the big guns again and playing with Mike Mills of R.E.M. and Bill Dobrow. The Ballad of Boogie Christ Act 2, which Arthur is currently on a world tour in support of, is the second album in a planned trilogy. The album has been described as “psychedelic soul” and Arthur has said the first two albums of the trilogy are unlike anything he’s done before. Act 2 was released on Black Friday as an Official Record Store Day release, the first installment having been released in June. It is one of more than eleven albums and ten EPs that Arthur has put out since being signed to Real World Records by Peter Gabriel in the mid ‘90s. Arthur’s albums are often recognized for their artwork, which he does himself. In 1999, he was nominated for a Grammy for Best Recording Package for the extended version of his EP, Vacancy. The Nashville Communion show, which Arthur will be participating in, will be held at the Mercy Lounge on Thursday, December 12th and will also feature performances from Milktooth, Rosco Bandana, Cereus Bright and Josephine & The Wild Front. Get your tickets here for $5. Just a few months ago, Kate Tucker and the Sons of Sweden’s forthcoming album The Shape The Color The Feel was little more than an ambitious Kickstarter project, an appeal to actually help Tucker create her new album, press it to vinyl and create eight to ten separate videos that would accompany the songs. Today, with the help of ten filmmakers, Tucker’s project is coming to fruition. The video for the album’s first single, “Looking Around,” directed by Tucker supporter Jason Smythe, was just premiered and several others are already on the way. The film for the song “Best Friends’ Love” was recently shot on the top floor of Nashville’s Cannery Ballroom and a behind the scenes look at the shooting of the film for “Hangover” was recently released as well. The videos, which are being shot in various cities all over the country, are all leading up to the release of the new album on February 11th. In addition to all that the band has going on with the new album and films, they’ve also been selected to participate in the Nashville Indie Spotlight compilation that will be available on iTunes December 3rd. The band’s next single will be debuted on the compilation and they’ll headline the release party for the spotlights tonight at the Stone Fox. Korby Lenker, Emily West, KS Rhoads, Jillian Edwards and Shannon LaBrie will also be playing. Tickets are $7. On November 14th, Nashville based singer/songwriter Shelly Colvin will take the stage at the High Watt to play alongside artists like Tennis and On An On for Nashville’s Communion show. Though Colvin’s debut album, Up the Hickory Down the Pine, came out just last year, she’s been playing music almost her whole life. Before she was even old enough to go to school Colvin joined her family to sing in a Baptist church in Alabama, where her father was the minister of music. While you can hear the years of experience in Colvin’s voice, her music today has more of a rootsy, folk sound with a heavy country influence. Colvin’s musical inspirations are in the same vein; she listens to The Byrds and Emmylou Harris, Neil Young and the Flying Burrito Brothers. Recently, Colvin’s enchanting vocals and straightforward songwriting have landed her a spot performing on Music City Roots and seen her featured in Nashville Arts Magazine and on Daytrotter. She’s also performed with a wide range of artists, including Jackson Browne, Dierks Bentley and Old Crow Medicine Show. After she takes the stage for November’s Communion show, you won’t have another chance to hear Colvin in Nashville until December, when she plays alongside Brendan Benson and friends at the Ryman. 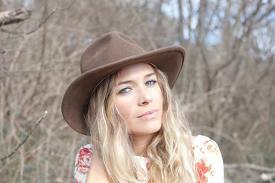 On Thursday, Colvin will take the stage at the High Watt first; doors open at 7:00 P.M.